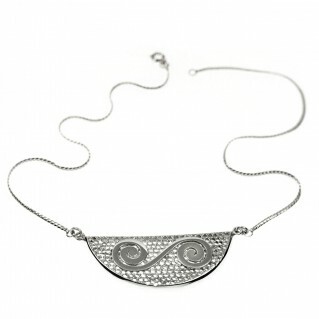 Double Spiral on Filigree Drop Earrings ~ Sterling Silver dangle earrings. Handmade sterling silver drop earrings inspired by the ancient spiral motif, a development and regeneration symbol. 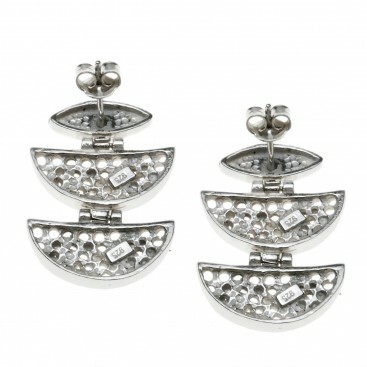 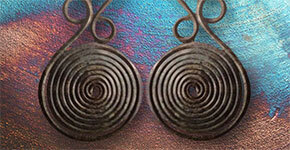 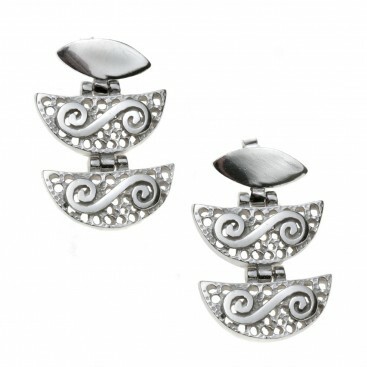 On these earrings, a double spiral rests on a filigree-like crescent. 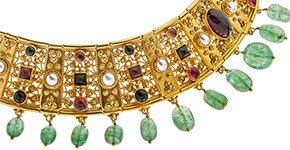 An impressive and sophisticated pair of earrings, marrying traditional Byzantine and contemporary techniques, in an everlasting symbol.